I have been interested in Cats HRCC for some time now and would be very interested in the possibility of enrolling for this course, the reason being I have been studying magic for some years now but have only felt at home with the tradition of Hoodoo, and the Lucky Mojo site seems to be the best place to learn,and has a very good reputation for its products. I understand that I must purchase products from the Lucky Mojo store before I could even be considered for enrollment, at present I have started to order products from the Black Cat Root Shack (I hope I got that right) due to being able to purchase the Lucky Mojo products with paypal and living in the UK. I am aware that the owner is also active on this forum, I was hoping that this may count as purchasing from Lucky Mojo as I have only need to buy books from the Lucky Mojo store, would this be possible. You are right that Lara does sell Lucky Mojo products on ebay -- but she does it for her own profit and has her own shop. I am the one who teaches the course. My shop sells to customers in England all the time, despite not accepting Paypal. It's only as difficult as you make it. I stick by my decision to only enroll students who are customers of my shop. I am sorry if that seems like something worth dodging -- but the way i see it, the more people try to dodge it, the more i wonder why ... and the happier i am to look at their reasoning behind not acceding to such a simple request. I had one today -- a hot-headed lady who insisted that i enroll her RIGHT NOW even though she had never bought products from us, and why? Because she "volunteered at a Botanica" and "could get oils there." Seriously, that was her reason. I'm not going anywhere. I mean, i am gradually aging, so don't wait *too* long, but, basically, i am here and will be staying here a long while. If you really want to take the course, then, like a all of my students in England, Sweden, The Netherlands, Austria, Germany, and Croatia, you will find a way to fulfill the conditions. It's as easy as that. 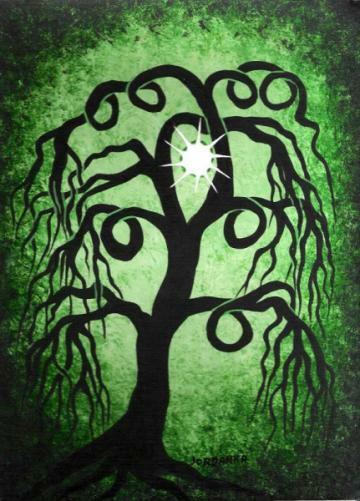 I am working on casting a spell to aid with the means for taking the Rootwork Course here at Lucky Mojo. So far my thoughts are dressing a yellow candle (yellow for correspondence as well as the fact that the Lucky Mojo words themselves are in yellow on its sigil.) I plan on using Crown of succes oils as well as some money drawing oils in order to draw the financial means to bring this into my life. My plan is to use the flyers that come with my order itself. I am unsure exactly what I am going to do with these yet. But my gut tells me they will play a big part in helping me find success in this venture. phoenixrayne wrote: I am working on casting a spell to aid with the means for taking the Rootwork Course here at Lucky Mojo. Why don't you just call cat and speak to her about the course? cause - that would be easy and now I would feel completely silly doing it? phoenixrayne wrote: cause - that would be easy and now I would feel completely silly doing it? First rule of magic, why make life harder than it has to be? Well, I have not made enough purchases through the store front itself yet it appears. So I am going to go back to my original plan - using that "money drawing" angle. It appears this is what I am going to need a lot of. I have a couple of the money drawing oils on order. I use mostly oils because they are so many things you can do with them. My "Kiss me now" oil- the scent is so strong I can take the oil and turn it into my own bath salt for use in bathing as well as a laundry rinse. I am hoping the money drawing oils work even half as well. Well, I can tell you by what you just posted your chances are pretty slim of cat taking you on as a student. You are trying to get around one of her main requirements of being a student. If you need money, go right ahead and work on that, but if you want to be cat's student, you would be better served by being direct with her than posting about working a spell for it. No I am not trying to get around a requirement. Actually, the money drawing was mainly so that I could do as I needed to do - and buy the things I needed to buy. Books and materials to try my hand with. It actually never occurred to me that that might be taken badly. I am sorry to have bothered you all. Maybe I would be better served finding a teacher elsewhere. I am working my way to taking the class. In order to qualify for the course, you need to have at least four different invoices with the shop and to have bought items in all classes of products, so that you will have samples at hand when they are discussed in the course. My first thought is if I purchase 6-8 spell kits of various intent that I could break the kits apart for the variety of commonents and thus have the items needed for the class. But then I wondered if the kits are individually concencrated for the work intended and if breaking the kits up would be a bad idea? Cat, do you keep a longer history of your orders at the store than you show on the account on line? I have years of history of ordering from the store but it only seems to show a year or so worth of orders. I have a lot more orders that I have made in the past not showing that were herb orders, etc. kittymoon -- we have a database that goes back to 1996. If you have ordered in the past, we will know it. Call Angela at the shop. She has direct access to all orders from October 2008 onward -- but if you ordered before then, your customer ID will show a certain kind of customer number string carried over from the previous version of the database and she can ask nagasiva to dig up your previous orders from the deep-storage electronic invoice files dated 1996 - 2008. Nothing gets lost in Electron-Land. Information is immortal! Ooh, good to know . . . this means on that end of things I've qualified for a while. I've wanted to enroll since the course was introduced, but it's only now that I'd say I'm even close to ready. Maybe a few more months. The page explaining the procedure is confusing... it says it's ordered like anything else, but I don't see an order button? Also, can one order the course enrollment at the same time one orders the final item on the required purchases list, or must the goods all have been ordered in past purchases before requesting enrollment? I want to teach people who are stable, mature, patient, intelligent, and qualified to learn. The only way i can decide who has what it takes to study with me is to become familiar with them, understand where they're coming from, see if they like our kind of spiritual goods, help them do some work on their own, and then, if they still want to take the course, i will gladly accept them as students, and i will be pretty sure that my teaching efforts will be directed toward folks who will really benefit from the effort i put into the course, the Yahoo group, and the grading of homework. To be explicit, i only take students who show a past history with my shop, purchasing and working with the hand-made oils, sachet powders, incense, washes, and herbs of conjure. The purchase of a few candles or a book is not enough for me to take a person on as a student. Purchasing from another supplier does not count. If you work with our shop for a while and we get to know you, i will certainly want to teach you, but the teacher-student relationship is personal, not commercial, and is built on experience and a history of shared knowledge and practice. So, to make a long story short, let's see you order a bit of stuff from Lucky Mojo -- so that i know that you are familiar with what i will be referring to in the course when i write of herbs, candles, oils, incenses, powders, and washes -- and then let's have a brief telephone conversation so that i can get to know you a bit, and you can decide if the course is the right thing for you. After that, i will be happy to take you on as a student. First, you have to have an established order history with Lucky Mojo. For the order history, you have to have ordered from all the categories such as oils, mojo bags, candles, powders, incenses, baths, and so on. Once you do that, then you call the shop, and ask if you are eligible to take the course. If so, and you have good order history, then Cat will arrange an appointment to speak you, to learn more about you,and your history with hoodoo. Then she will either approve or deny you. Once you are approved, you can purchase the course online, and then she will sign and send out the course book. I'm still unclear as to what it is you do then to order the course and the phone conversation. You need to call or email the shop to see what it is left in order for you to qualify to take the course. 2. When you have met the requirments, ask for an appointment to speak with Cat. 3. Call to speak with Cat and she will want to get to know you. Per the phone conversation you will agree not to duplicate the course book, and finish the course homework. In this phone conversation, she will want to know your previous experience in hoodoo. Basically she wants to get to know more about you. When I enrolled in the course, she asked me several things pertaining to my ability to complete the homework. 4. Once she approves you, you can purchase the course online. After that she will send you the course book, and send you and invitation to enroll in the Student online yahoo group. It is that simple, and if you have any more question direct them to the shop for clarification. You may be making it harder on yourself than you think. Call up the shop and talk to anyone that picks up...you will find that they are a wealth of information. The obstacle on my way is that I am in a foreign country, i do not have access to dollars,i am hoping that at of the year if i finally get this job, i can get an account that will entitle me to a credit card so that i can make these purchases.can i order by means of Postal order or my currency? again i also feel that i need some luck with this job, Twice i have attended the interview,but when it comes to my starting work,my name is always omitted,and i end up not working there. and when i complain,again i would be invited to work and again there is an omission or something,now again i hav been invited again for this job,i really dont know if i will get lucky this time,pls how can i remove this jinx or ill luck,because i really need this job in order to enrol for this course,i am desperate to enroll for the course,i feel i am long overdue. "I am in a foreign country, i do not have access to dollars, i am hoping that at of the year if i finally get this job, i can get an account that will entitle me to a credit card so that i can make these purchases. can i order by means of Postal order or my currency?" You can purchase postal money orders in US dollar amounts in virtually every nation. We only accept payment in US currency. "I am desperate to enroll for the course, i feel i am long overdue." Well, i hope that the word "desperate" is a literary exaggeration, because i actually don't take "desperate" people as students. snowwhite, you are posting from South Africa. Several others have taken the course who live in South Africa. In other posts you tell us you cannot buy Lucky Mojo products because we don;t accept paypal. We sell products to South Africa and i have students in South Africa. 'Nuff said. Miss Cat, As we are aware this is the list of required purchases that a potential student must obtain over the course of at least four invoices prior to requesting enrollment in your course.I know that they can not be all of the same type ( like all love products for example.) I would really appreciate your specific suggestions for each of the herbs, oils, sachet powders, incense, baths, roots, ect. What do you feel would be the most beneficial combination for a potential student to purchase? Your personal recommendations. Hypothetically ,Lets say you put a student kit together of all of these items. What would you put in? Willowspell, the assignments are very individualized - you have to put together certain things, but it's not dictated what type of situation you make them for. So it's really a personal choice. These purchases are required Prior to the course. I was just wondering what specific products she would personally recommend to a potential student. I know she likes the fast luck oil. that would probably be one. A list of her personal choices for a decent variety that may give individuals a wide range of experience with the product. I recognize that they would be personalized. I have already read all of the homework assignments that have been posted. There are nine basic conditions covered in the course: love, money, blessings, court cases, protection, power, change, cleansing, cursing. That's just a sample list -- i really have no serious recommendations -- it's up to you! You are an amazing women Miss Cat! I very much look forward to speaking with you soon. I'm working on putting my orders together for the required supplies. I have a few purposes in mind and I am aligning my selections with those intentions. I am unsure of whether reversing counts as negative work. I'm hoping it does because I would prefer it to cursing/crossing or revenge. I'm thinking it's kind of a negative/protection because you are sending what is being sent to you back to whoever sent it, so done properly, it should protect you from any mess that is sent and also revert it back to the sender right? I have come across the "like fights like" in the book, so I'm thinking I can use reversing as a negative. Just making sure though. OH and before I forget...this question makes me feel a bit silly BUT I am having a hell of a time deciding on a mineral that I can use in a mojo bag. From what I have read so far...and I am still fairly new at this....most of the minerals are meant for sprinkling or laying out not carrying in a bag. And I should note...my science skills are below par at this point lol...so the only things I thought of as being distinctly of mineral origin (lol) are salt, saltpeter, sulphur and the goofer dust (which i think is actually a mixture..not just a mineral). I was sitting here trying to decide if dirt (as in graveyard dirt) is a mineral. Now I feel REALLY silly lol. A little help would be greatly appreciated! I am very glad to get to know you, and i look forward to your haning out here and eventually becoming a student. The most common minerals found in mojo bags are Lodestones (magnetic Iron ore, Magnetic Sand (Iron dust), and Pyrite. You can read about them in the HHRM book which you have. If you buy Lodestones or Pyrite for a mojo, get the gravel and grit size -- anything bigger would be too heavy. Also, coins count as minerals (metals). Yes, dirt is a mineral. Lodestone, pyrite, salt, and saltpeter can all easily be put in a mojo. In addition, the course page states that: "The Lucky Mojo items cannot all be of the same title (e.g. "Love Me") nor can they all be designed to address the same condition (e.g. all love products.) "
Then, of course, buying other products to address other conditions. In my mind, it seems like it'd be a good way to demonstrate familiarity with the products by learning how to use several together for a common purpose, so I figured it'd be worthwhile to ask. However, I will absolutely respect and defer to the official requirements, whatever those are. Also, regarding the Goofer Dust, is it enough to just buy it but not actually use it? You bring up a good point and I hope so because thats what I assumed. I tried to mix it up a little. I thought by not the same that I couldn't order everything one thing, meaning all the same oils and all the same incense, but I thought by intent was okay. I picked intents (or rather conditions I want to deal with lol), love drawing and money drawing for the attracting and for the repelling I chose reversing. I ordered some uncrossing and cleansing products. I ordered one each of the reversing oil, incense, powder and bath crystals. For the love drawing I ordered Love Me oil, Love me stachet powder, and I mixed it with some Queen Elizabeth incense and bath crystals. I ordered the Queen Elizabeth root as the root for the mojo bag. Of course since I like attracting work lol, I also ordered lodestones and magnetic sand, with lodestone oil also. I still have two orders left to reach four invoices that I have planned out pretty much the same way so if I need to be ordering each item as a distinctly different thing, I still have time to address that. The idea is not for you to acquire things to do something just for yourself. The idea is for you to understand the structure of conjure. If you buy products that are all the same or for the same intention, that will not help you understand what we are doing here. Reversing is not the same as repelling, hurting, r cursing. It is half-drawing and half-repelling. This it cannot really inform you are repelling, driving away, cursing, harming, or destruction spells in this tradition. There is no need for anyone to take this course. You can all be perfectly sufficient practitioners without it. The course is for people who want to be my students, not for people who sit around and try to come up with ways to warp what i am asking them to do. If you want to take the course, you must have a reason for doing so -- and be prepared to tell me what that reason is, because i will ask you about it. 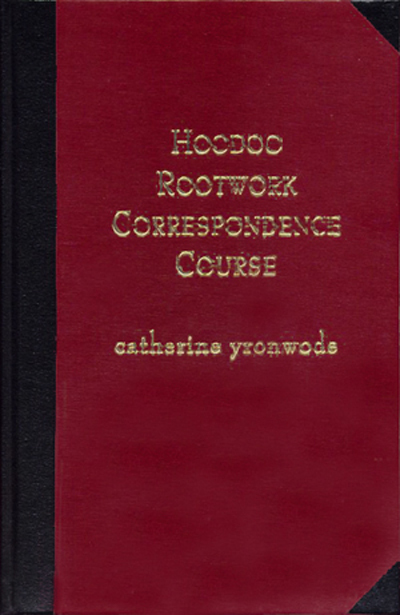 If your reason does not include a desire to understand the history and structure of hoodoo folk magic and its place in African American culture, you probably should not take the course. If at the present time you have a Facebook account, but you have no black Americans as friends on your Facebook page, you probably should not attempt to take this course. I can get a LOT more specific if y'all don't get it. Miss cat, I would not be on this forum if all I wanted to was warp anything you or anyone who has taken the course before me has done. I am here to to try and learn and to respect what everyone is doing here. I looked at the requirements as I understood them and if the way that I interpreted them was offensive to you then I apologize. But I am not going to pretend that this is something I am familiar with or that I am an expert. I ask when I am confused and I try and read all of the stuff here on this forum and gain insight from other postings. There is a lot of information and I have not had time to sort through all of it. It is just easier for me personally with all of the numerous items that are available here if I take things one at a time. I have ordered things with similar purpose in order to see how other people use them together and to see how they work for me, not as a way to avoid trying everything else. Conjure is also a way to deal with very current and real problems that we have, as I understand it so far, so I also ordered things to work with to deal with things in my life. Reversing work is something that was suggested to me by an AIRR reader, hence I ordered reversing products. I was hoping to try my hand at conjure, whilst learning and solving my own problems at the same time. catherineyronwode wrote: The idea is not for you to acquire things to do something just for yourself. The idea is for you to understand the structure of conjure. If you buy products that are all the same or for the same intention, hat will not help you understand what we are doing here. Oh, okay. So are you saying that each of the "10 oils and foils" needs to be for a different condition (and therefore a different title)? If that is the case, then I totally respect that. Based on my readings of this forum, I gather that there often those who seek to circumvent your requirements around the course, so I can certainly understand your concerns. For my own part, I will not seek to circumvent or warp anything, and I only wish to understand more fully what you are asking for (in this case, about the required purchases) so that I can remain true to it -- and comply in full, if I later choose to seek enrollment in the course. I do understand more than I did earlier, and I appreciate the clarification you provided, so thank you very much for that. trish, i wasn't offended at all. I am just a very blunt speaker. I don't sugar-coat what i feel. Heartexalted, you got it when you said, "Based on my readings of this forum, I gather that there often those who seek to circumvent your requirements around the course, so I can certainly understand your concerns." That's it in a nutshell, right there. I make the requirements clear, and people still want a way around them. Now, i think that maybe one reason for this is that they have some personal issue they want to solve -- you know, a love issue or a career issue or something -- and they think that if they take my course, they will get the "Big Secret Spell" that will solve their problem. But since they only have the one issue -- the love or career issue or whatever -- they don't want to, as they see it, "waste money" buying things they won't intend to use, like for healing or for uncrossing or for marriage or such. If that's the case, then they don't actually need to take my course, they can just pick up a few good spells. And there are hundreds of free pages i have written, so i keep trying, very kindly, very sweetly, to point them to my huge free spells archive, and to this forum, and to my several hundred pages of "Hoodoo in Theory and Practice" and the pages at AIRR and herb-magic.com and southern-spirits.com and all the rest. "Just take the free stuff and be happy! It's all good." The course is something else. It's about the historical, structural, religious, and cultural basis of black American folk magic. It is not for everyone. Hello I want to learn Hoodoo from LM but I live in oversea. So I want to know can I join the course? or only buy the books? and should I fulfill the required purchase item list? cat teaches students all over the world, but to be able to take the course you will have to get accustomed to this work by ordering from LM. Read trough this webpage, it describes all the requirements for taking the course and what the course entails. I'm not in the US, and I have really appreciated the course and I highly recommend it. You'll need to speak to Miss Cat directly before ordering the course - she interviews everyone before allowing them into the course. Generally speaking, your order history needs to already have all the required purchases in it, in the form of at least four invoices over the time period of at least four months before she will interview you and you will be considered for the class. You can call the shop to find out if you've met all the requirements to sign up for the course. The Curios and Spiritual Supply items on the list must be purchased from my shop, not from a reseller. The books i have written may have been purchased elsewhere. The homework requires concentration, persistence, and dedication to complete, and from previous experience i have learned that a person who does not make the required purchases is very unlikely to complete the course. Before i instituted the list of requirements, less than 10% finished the homework and graduated. Now that i offer the course to my shop customers only, that is, to people personally known to me through their loyalty as purchasers and practitioners, not just random folks, and i also require that they have some connection to the black community, the percentage is now up to about 1/3. The quality of the homework is much improved too. I live about 30 minutes from Valentina's shop and intend to take a couple of her upcoming courses. If I purchase LM oils, powders, roots etc while at her shop, will they be considered as part of the required purchases to take the correspondence course? I believe you need to purchase the products directly from Lucky Mojo before taking the Lucky Mojo Correspondence Course. In preparation for taking my course, i require purchases from my shop, not via a reseller. I am sure Valentina won't mind if you shop with me a little bit. You can go back to shopping with her as soon as you are accepted in the course. She is a good outlet for our products in Dallas, and highly recommended for readings as well. You will also need to establish some friendly connections to the African American community. If you have no black Americans as friends on your Facebook page, you probably should not attempt to take this course. I have really wanted to take the correspondence course for at least three years but could not dedicate the time required until now, when I contacted support some months ago my application was declined because of my limited purchasing history. One of the requirements of the course is to have a purchase history of products, I was wondering if this can also be from a third party supplier as I don't live in the US I buy much of my products from the local "Lucky Mojo approved" supplier. In addition, I might as well ask this question as well to save posting elsewhere, I listened to one of the radio shows again today and Cat spoke about how she likes to do a reading to direct her to work with a certain element. e.g. cups = fire = means candels. But I missed what the others meant because the radio went fuzzy, would anyone be able to shed some light on this? Miss Cat just answered the question regarding purchasing from resellers earlier this week, actually. She said that the order history has to be with Lucky Mojo directly. As for your other question, well, cups are water (baths, washes), wands are fire (candles), swords are air (incense), and pentacles are earth (herbs, etc). Best of luck with getting started! It's a fantastic course. "To be explicit, i only take students who show a past history with my shop, purchasing and working with the hand-made oils, sachet powders, incense, washes, and herbs of conjure. The purchase of a few candles or a book is not enough for me to take a person on as a student. Purchasing from another supplier does not count." You can certainly call the shop and ask for specifics. I have also been thinking about the course---to the extent I had a dream about it last night. I dreamt I got an order from Lucky Mojo and I got one of the empty 1/2 oz bottles and I was making something...lol...don't know what the heck I was making but I'm going to take it as a sign anyway. I had a reading with Deacon Millet quite a while ago and he saw me taking the course too. I suppose I should quit slacking lol. As for the purchasing history, the 1/2 oz bottle is actually one of the few things I have left to order, along with goofer dust, and one the two part blends (I think I'm going to go with the Peace water). Thats all I have left actually. Can I just order these last few items at the same time I order the course? I was thinking I would just email the shop to order the items and the course. Trish, for one or two items that you forgot to order earlier, you can place your order with the shop, then hold the items for shipping until the book ships (this will save shipping costs). But please understand that you cannot just "order the course" as i will have to have a telephone conference with you first that lasts at least a half-hour. During that time, i will explain various things about the course to you and answer any questions you have, and i will expect you to make a series of agreements with me regarding your responsibilities as a student. If the interview indicates that i should take you on as a student, then your order of the course book will be processed. 1. For the conjure oils, what constitutes "negative work?" For some of these oils it is pretty clear, but others were not as clear. Any guidance on this would be appreciated, as would a list of conjure oils that would meet this purchase requirement. 2. In a similar way, what is considered repelling or harming as related to the incense powders and sachet powders? 3. For the bath crystals, are there other bath crystals that met this criteria other than uncrossing? For example, would the reversing, cast off evil, cut and clear, or banishing bath crystals meet this purchase requirement? Are there any others that would also meet this requirement? Any thoughts, suggestions, or comments are appreciated. Thanks! Breaking the kits apart is not a bad idea in theory, but it will not help you understand more than the four kits you ordered, which is why i do not allow kits to qualify as purchases. You need to purchase a variety of items that are very different in their goals, such as Crossing, Uncrossing, Love Me, Protection, Pay Me, Hot Foot, and Money Drawing, just for example. You will also need to order washes and waters, at least one two-part formula, herbs, minerals, and more. I would like to also add that the more DIFFERENT things you purchase and try out the easier the course will be. Go in having some WORKING knowledge of the things in which you will be taught or you may be lost and it will take you much too long to complete the course. I waited a while, and a few different medium sized purchases, until I felt fully comfortable and competent to enroll. I'm now a few days (hopefully, fingers crossed! LOL) from graduating and very glad I waited until I was ready and experienced with multiple items and works. That's my 2 cents, for what it's worth! Congrats Joseph...I know you'll graduate, I've read a lot of your posts and you're very knowledgable. Best of luck to you! ...and also Thank You, blessed1, I am learning still and have a ways to go, but am absorbing as much as I can and always reading and learning new things daily!